Awesome adventures inspired by the best-selling new Pokémon Sun and Moon video games! Sun dreams of money. Moon dreams of science. When their paths cross with Team Skull, both their plans go awry. 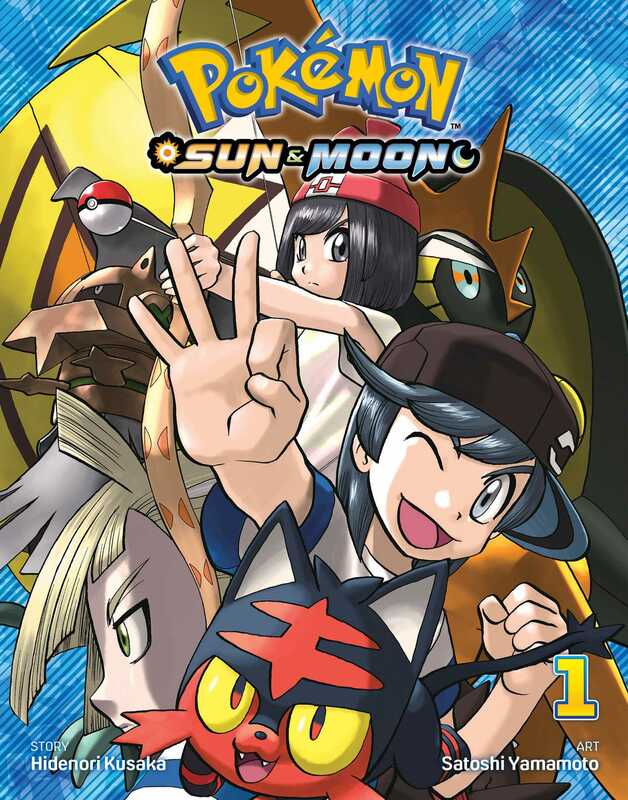 Moon is on her way to deliver a rare Pokémon to Professor Kukui in the Alola region when she meets his good friend Sun, a courier entrusted with a special Pokédex. Sun offers to safely deliver Moon to the professor’s lab…but then they tangle with a group of grunts from Team Skull and are attacked by a mysterious Pokémon! What does the mysterious Pokémon leave in its wake…? New adventures set in the world of the newest iteration of the game, Pokemon Sun & Moon.